Don’t book an appointment just yet – book a consultation first. 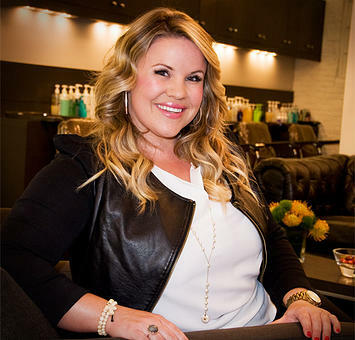 Most stylists who do extensions will not take a client on without that initial consultation first to see what your goals are and so they can properly source the right hair and color. If at all possible, have your stylist source real human hair for the wefts. Kacey says you’ll get the best, most natural looking results this way. Extensions are not just for length. A lot of clients come to sit in Kacey’s chair not looking for longer hair necessarily but rather more volume and thickness. Kacey says you would be amazed at what a difference just one or two wefts makes to achieve this. 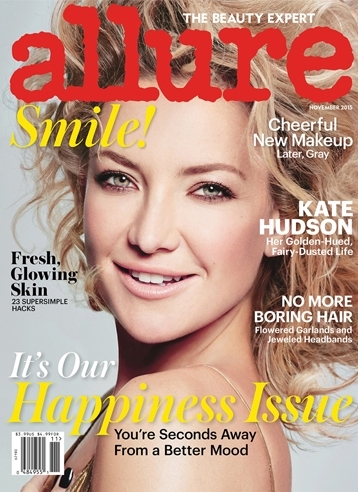 A good example of this is Kacey’s client Kate Hudson, seen on the November covers of Allure and InStyle Germany this month. There’s so much range you can do with extensions whether you’re wanting length, thickness, or somewhere in between. Get your extensions custom colored. It’s important your stylist custom colors your extensions so they blend in perfectly with your natural hair.